I was born and brought up in the town of Boston Lincs. to a Polish refugee father and a mother who was a local girl. I am an only child. There was no active church membership in my family, and my introduction to Church came at the age of 11 when I started singing in the choir of St. Botolph’s Boston, 'the Stump'. I studied theology and music at St. Chad's College, Durham University where I first came into contact with Anglo-Catholicism. I was accepted for Church of England ministry after graduation, but this did not feel right at the time. Instead, I joined the Probation Service, where I spent the next 35 years. Over that period, I moved through the ranks to retire early as Assistant Chief Probation Officer. This career taught me much about those suffering massive deprivation and abuse. I also trained as a psycho-sexual counsellor, and was for a short period in private practice alongside my full time work. I undertook some work in social work education, supporting social workers who were training to offer student placements in Local Authority and Voluntary Sector placements. 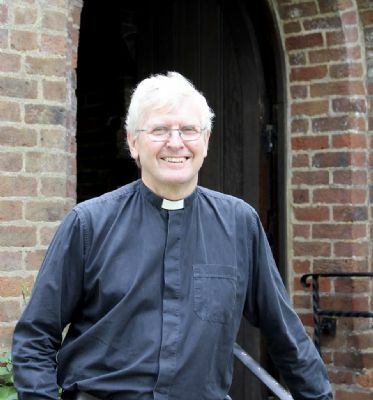 On taking early retirement, I started the discernment process and trained for two years (part time) at St. Stephen’s House Oxford before starting my curacy at St John’s Sidcup. In my spare time, when I am not sharing with Judith the many things we enjoy doing together, I have two passions; restoring vintage televisions, and flying a small, shared aeroplane that is kept at Biggin Hill. What we do in church and what we do outside of it to serve our neighbours are I believe inseparable parts of faith and devotion. Our Church must constantly seek to discern its vocation of service anew in each place and time. I very much look forward to working alongside the people of St Francis in this mission of love to the community which surrounds us.